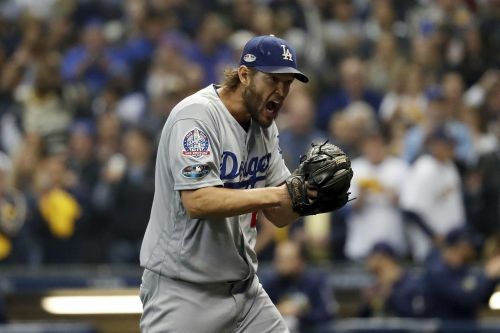 MILWAUKEE (AP) — Clayton Kershaw pounded his glove over and over, yelling "Let's go!" as he walked off the mound. It was the first time in postseason history that a lefty-batting pitcher went deep off a left-hander. Woodruff joined the Cubs' Travis Wood (2016 NLDS) and the New York Giants' Rosy Ryan (1924 World Series) as relievers to homer in the postseason. "We gave up too many bases. We didn't play clean when he was in the game," manager Dave Roberts said. "The errors affected the game. But as far as Clayton, I just think it was poor execution. And I thought the stuff was good, but he just made mistakes in the strike zone and defensively, again, we didn't do him any favors."